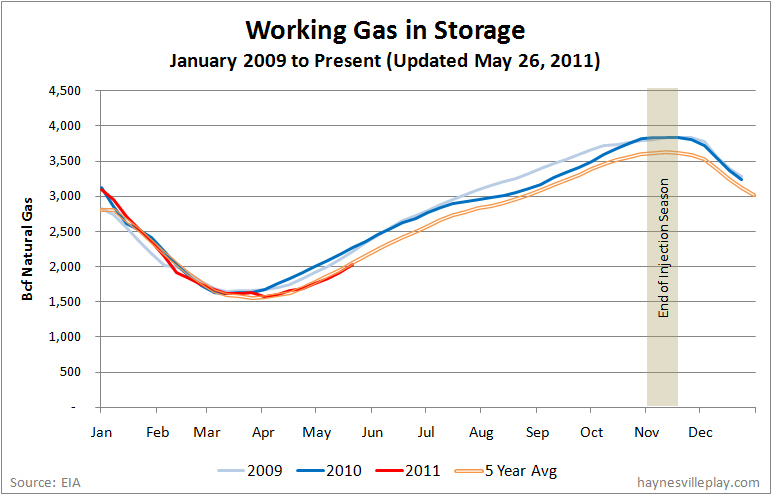 The weekly EIA working gas in storage report showed a 105 Bcf net injection, bringing gas in storage to 2.024 Tcf. The weekly injection was 5% higher than last year (100 Bcf) and 10% higher than the five year average (95 Bcf). 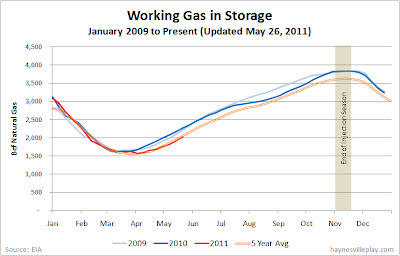 The current storage level is still 230 Bcf lower than last year (2.254 Tcf) and 26 Bcf lower than the five year average (2.05 Tcf). Temperatures last week averaged 58.7 degrees, 3.6 degrees colder than the five year average and 3.7 degrees colder than last year.